As a leader, you may be doing well now, but not actively or systematically planning your next moves. You may or may not have a career “game” strategy. Make no mistake, strategic planning is not just for organizations. You are an “organization” of one, and remember that you are the only one who can make looking after your own personal and professional growth a priority. 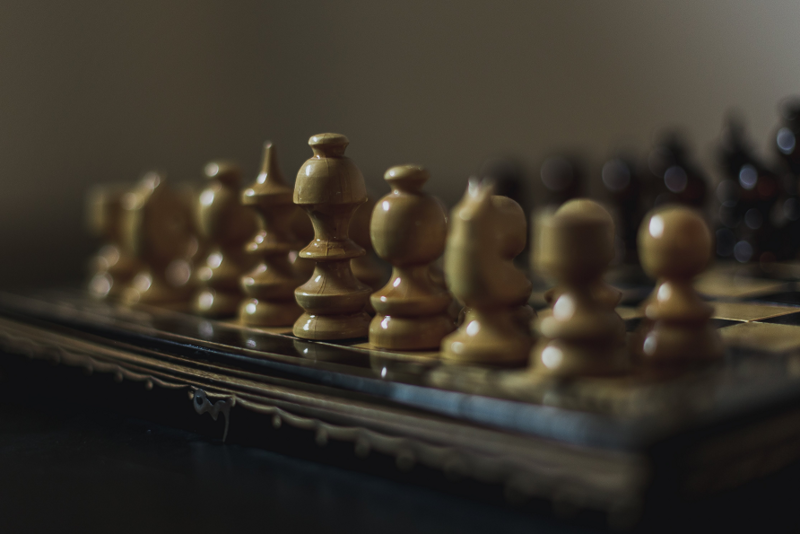 The game of chess offers a useful analogy for the strategic planning and productivity that are necessary for job and career advancement. In general, chess is a game of contemplation, strategy, and patience. Visualize a chess match. The players are quiet and thoughtful for long intervals. Certainly, they are not watching television or talking on their phones while creating an overall strategy or planning moves. However, people often spend too little “think time” about their careers. Once successful or comfortable, they rest on their laurels or fail to see how the winds of their business are changing. So notwithstanding your busy schedule, inevitable ups and downs, or digital distractions, figure out how to consistently enhance your job performance or advance your career. The Pawn, which can only move one square at a time, both forward and back, left and right, as well as diagonally, may represent the small, seemingly mundane steps, in various directions, that you take to complete your daily or monthly responsibilities. The Rook (or Castle), a piece that moves only forward and backward, can represent the ebb and flow of progress. The Knight has an unusual way of moving and may represent ways of jump starting and engaging in out-of-the-box thinking. The Bishop can represent your willingness to move out of the mainstream, since it moves in a diagonal direction, for as many spaces as is wise or necessary. The Queen, the strongest piece on the chessboard, can represent strength and flexibility since it goes in any direction and for as many steps as is desired. The King can represent your current position. You may want your position to be stable and protected, while you venture out, overcome barriers to progress, and make surprising advances. Increase your information flow about state, national, and global economic and political trends. Read a daily newspaper and weekly or monthly magazine or journal. Broaden your knowledge about your field’s past and projected industry trends. Are positions or corporations like yours safe or predicted to fade. Think of industries and corporations that have met their demise. Pretend you are looking for a new position. Look at the requirements for your next “ideal” position. How do you stack up to a new wave of graduates? Consider upgrading your credentials. Do you need additional certification? For example, you’ve worked your way up the corporate ladder in operations. Should you consider getting certified as a Project Manager? Advanced licenses and certifications are required for finance, insurance, and many technical fields, but due to hassled schedules, you procrastinate or deny the need for additional training. Reach out. Talk to those who are near to or have retired. What wisdom about career envelopment will they share? Let their hindsight contribute to your future productivity and career planning. Take stock of your finances. Even a basic Susie Orman PBS presentation can highlight the framework for financial security. While these items may seem like a tall order, these steps keep you on your toes – personally and professionally growing. Ask yourself what you truly want. Whether you’re in a situation you believe secure, with a strong opportunity for advancement or you seek to conquer the job market and land a big opportunity, the key is, those who grow and expand their knowledge, productivity and preparedness are far more valuable to themselves, their family and their organization.